We at Saint MSG Glorious International School, follow Cambridge International Curriculum. Teaching at Saint MSG Glorious International School is student-centered, project-based, and incorporates the multiple intelligence concept. While the general curriculum is followed by every student, he or she is also encouraged to develop talents and interests in personal areas of academic interest, and in sport, theater music and dance, for which facilities are outstanding. Our curriculum manifests the importance of integration and the development of the child in all dimensions viz. spiritual, moral, cognitive, emotional, imaginative, aesthetic, social and physical. Our curriculum includes quality in education, children with special needs, literacy and numeracy, a sense of national and international identity, the spiritual dimensions, equality and fairness of access, science education, ICT. It is a skill-based curriculum, served by many excellent textbooks and resources, with its own testing mechanism. The CIE Board is a division of Cambridge Assessment and a provider of International Qualification offering Examination and Qualification in more than 160 countries and has successfully completed 150 years of glorious service. 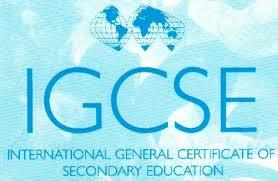 CIE qualifications are required for admission to colleges and universities across the globe. ‘Equivalence of Foreign degrees’ published by the AIU. Universities and colleges in India are autonomous but in general follow the recommendations of the AIU. Click the link and download the booklet, it provides examples of recognition of Cambridge International Examinations qualifications in universities and colleges in India. Every year, top universities across India welcome students with Cambridge qualifications. India has the second-largest higher education system in the world, offering a wide spectrum of courses that are recognised globally. All degree courses are taught in English, and an affordable fee structure makes India an attractive destination for higher education. Please click the following link to read more about it. Cambridge Secondary 1 develops skills and understanding in English, Mathematics and Science for the first three years of Secondary Education. It offers a world class curriculum, high quality support for teachers and integrated assessment. Cambridge Checkpoint tests are for use at the end of Cambridge Secondary 1. They are marked by CIE and provide schools with an external international benchmark for student performance. 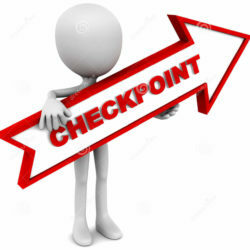 Cambridge Checkpoint enables feedback to be provided on a student’s strengths and weaknesses in key curriculum areas. Feedback of this kind is an invaluable source of information. Learners at MM international schools have a transferable indication of their academic progress. Cambridge IGCSE is the world’s most popular international curriculum for 14-16 year old, leading to globally recognized and valued Cambridge IGCSE qualifications. It is part of the Cambridge Secondary 2 stage. The School has helped develop Cambridge IGCSE, which provides excellent preparation for the Cambridge Advanced stage including Cambridge A/AS Levels and Cambridge Pre-U, as well as other progression routes. It incorporates the best in international education for learners at this level. It develops in line with changing needs, and is regularly updated and extended. 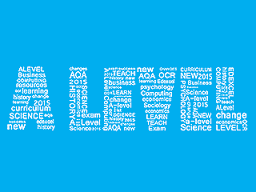 Cambridge IGCSE teachers can draw on excellent resources, training and advice from subject experts. The school has a team of separate specifically trained faculty members for CIE classes who work under the guidance and supervision of skilled heads. Cambridge IGCSE encourages learner-centered and inquiry-based approaches to learning. It develops learners’ skills in creative thinking, inquiry and problem solving, giving learners excellent preparation for the next stage in their education. 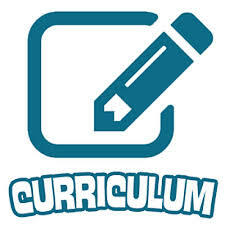 Schools can build a core curriculum, extend it to suit their learners and introduce cross-curricular perspectives. Clearly defined learning outcomes and content, mean Cambridge IGCSE is compatible with other curricula and is internationally relevant and sensitive to different needs and cultures. The School offers any combination of subjects. Each subject is certificated separately. Depending upon the availability of teachers, over 70 subjects are available, including more than 30 language courses, offering a variety of routes for learners of different abilities. Assessment for Cambridge IGCSE usually takes place at the end of the two-year course and includes written and oral tests, coursework and practical assessment. The School has the option of assessing learners using only external examinations or, in most subjects, combining examinations with coursework. Coursework is set and marked by the teacher and externally moderated by CIE. They are taken in over 125 countries and offer a choice of 60 different subjects. Cambridge International A/AS Level qualifications are widely recognized and valued by universities and employers alike. Some US universities give up to a year’s credit as a result. Every year, thousands of Cambridge International ‘A’ Level students gain places at good universities worldwide – including the UK, USA, Canada, New Zealand and Australia. 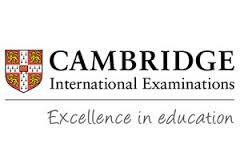 The School and learners find Cambridge International A and AS Levels very flexible. School can offer almost any combination of the wide choice of subjects available. Learners have the freedom to select the subjects that are right for them – they either follow a broad course of study, or specialize in a particular area. Cambridge International A and AS Level syllabuses have been created specifically for the international learners. The content of International A and AS Levels is carefully devised to suit the wide variety of Cambridge schools worldwide and avoid any cultural bias. The structure and administration of Cambridge International A and AS Levels are also designed to meet the needs of our schools and learners around the world.